Dr. McNeilly grew up in Western NY. After graduating with her undergraduate degree in 2003, she packed up and moved West for an adventure! She lived in Boulder, Colorado for a year and then moved to Summit County to pursue her love for skiing. After several years of skiing, hiking, biking, and rafting it was time for her to continue her education. 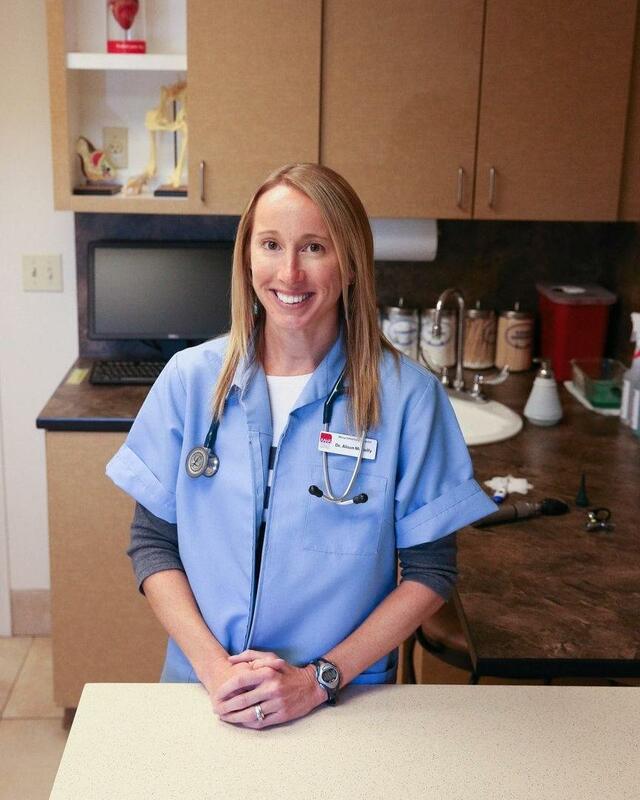 She graduated from Colorado State University as a Doctor of Veterinary Medicine in 2014. She also obtained her license in small animal veterinary acupuncture. Prior to joining the Mesa team, Dr. McNeilly completed a rotating small animal internship at Wheat Ridge Animal Hospital and practiced in Summit County. In her free time, she likes to enjoy the outdoors. Dr. McNeilly loves skiing whether it is on the hill, in the backcountry, or just touring with her dogs! She also enjoys biking, hiking, and hanging out with her three dogs, horse, and wonderful husband!